You have set up the simplest budget ever that will kickstart your finances. Now, you create a monthly cash flow sheet. No worries, the fancy term means something very simple. A simple cash flow sheet let’s you see what’s to come at a glance. A basic monthly budget and a cash flow sheet are the two fundamental calculations you need to manage your finances. And trust me, this sounds oh so sophisticated but is in fact really simple. Once you have put the two worksheets in place they will only need a few minutes each month for updates while they will benefit you a lot! It is always the same in my home. Big numbers on a bank account statement are making my husband and me excited and feeling like we have a lot of money to plan with. Fair warning, a cash flow sheet will spoil this party. But for good reasons. We may be excited like 5-year-olds but we better not be. Because a lot of those big numbers are just about to leave. We only tend to forget. With my husband’s salary that comes once at the end of each month the bank account looks very nice all of a sudden – and how tempting that is! However, there are 30 days of payments and expenses coming! I’d love to forget about them. But I better take care to not spend money that needs to go somewhere else. Only by monitoring my spending I can make sure that there is enough money for one entire month of costs so that we will not end the month using expensive overdraft loans. 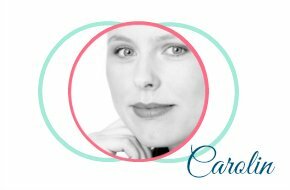 I will walk you through the steps to create a personal cash flow sheet and if you want to go paperless I provide a free spreadsheet you can use below. Or, as a subscriber, you’ll find a cash flow worksheet in the Little Money Management Workbook in the resource library for insiders only. Not long ago I just used a piece of paper that I started in the middle of the month to find out if there is still some margin for this or that. I would then simply note down the current bank balance and then subtract what still needs payment this month. That way I can clearly see what is left to spend or save. The downside is that sometimes I forgot something that would still come up because I had no list of recurring payments. In addition, I didn’t feel comfortable to throw my calculation in the trash and I would have to tear it in extra tiny pieces. More work for me. Still, if you are happy with pen and paper, go for it. Just make some notes and fresh calculations throughout the month to stay on top and know what your current situation is. I now use Evernote for my cash flow calculation and for me it works like a charm. I have created a two column table so that there is one column for each of our two check accounts. Above the table, I write the date of calculation. At the top of each column, I write the current balance. Then comes a list of fixed expenses under the account from which the payment will be debited. For example, I write “Childcare 100”. That means we need to pay 100 Dollar for childcare. Each time something gets paid I clear the number from the list. That way there are only amounts in the list that still need payment. In the example there will remain “Childcare” but not the number. Now I will not forget what is still due and I can bring back the number next month. In addition, I can put in extra payments, for example when I paid something with the debit card. In that case, I will just add “Amazon 80” if I spent 80 Dollars at Amazon. Finally, I just subtract payments from balances. Now I can clearly see with an exact number what will remain on each bank account. I use a calculator for that. Of course, you can do this in Excel or Drive with automated calculations. 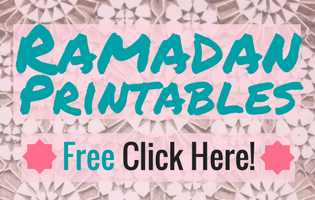 Grab this ready-made free worksheet to get started instantly. Make a copy for yourself and start by replacing the pink numbers and items with your numbers. (Just save a copy for yourself. No entering of email address or anything. Create a copy in Google Drive: File – Make a copy – ok) Update throughout the month whenever you need to know if there is a margin for an investment or not. You can add rows, the worksheet will adjust. No email address required to get to the worksheet. 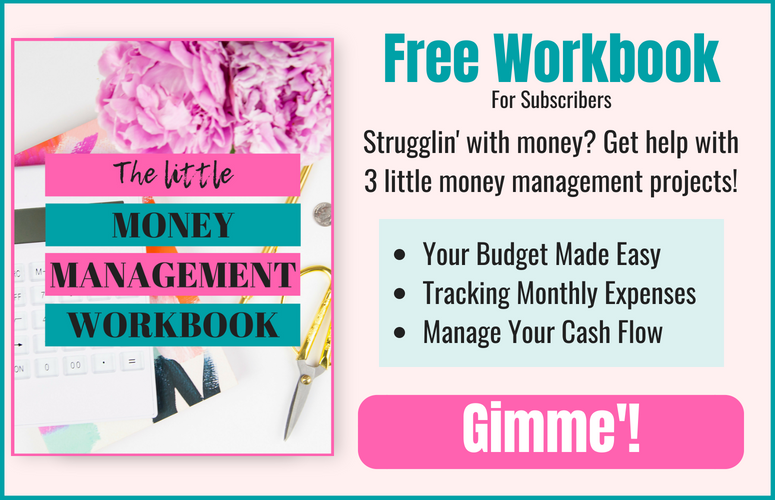 Use this worksheet together with the free budget spreadsheet to rock your personal finance management. Now you are all set. 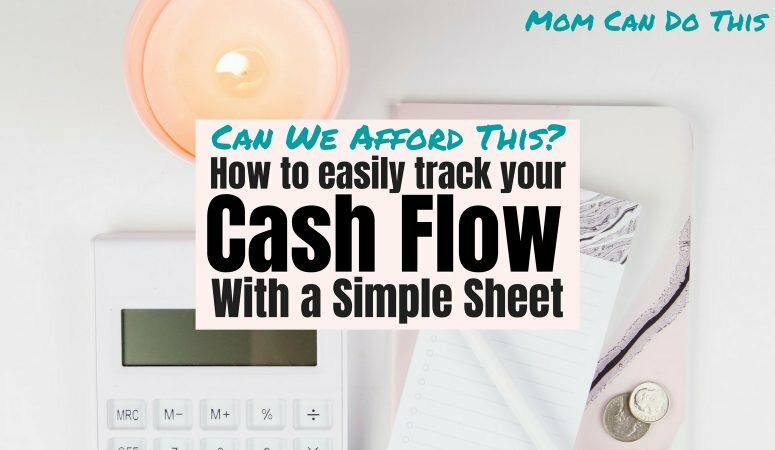 With your basic budget and this cash flow sheet, you are on your way to master your finances. You have the two fundamental calculations in place that put you in control of your money. Now, you have a firm grip on your cash so you can get ready to move on, to save more, to invest and plan, because you no longer just guess. You know exactly what is going on with your money and what margins you have right now. This will enable you to make the best decisions with your finances. 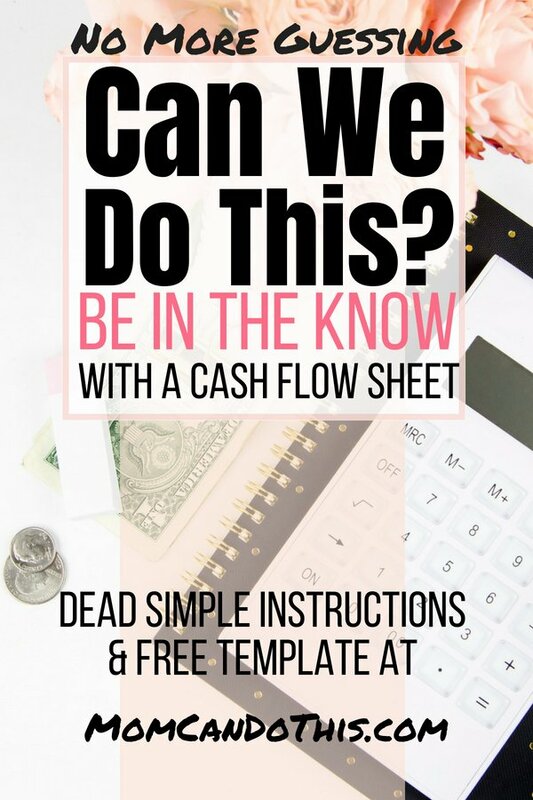 Go create your simple budget and a cash flow sheet. What tools do you use? Papers in your planner or digital style? Let me know and spread the word, please. 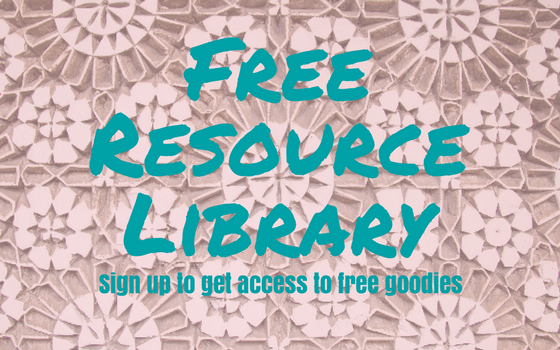 Please, subscribe to the newsletter to get access to free printables, worksheets, and more in the subscriber exclusive library! 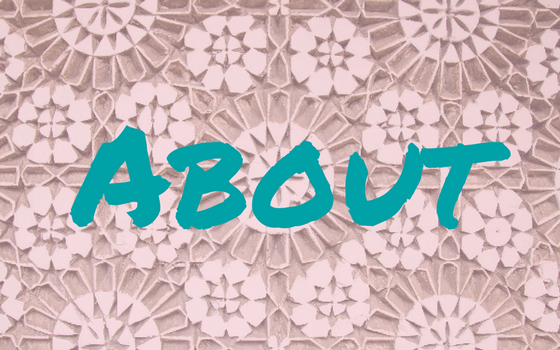 Pin this post so that your peeps are in the know, too! Thanks a lot!